We welcome coach parties for coffee/tea stops, lunches, cream teas and evening meals. Please book in advance for parties of more than 10 people. 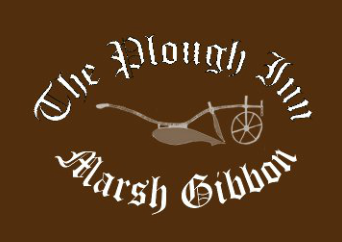 The Plough is very convenient for Bicester Trading Village and also for Claydon House, Waddesdon Manor, Silverstone and Blenheim Palace. It is close to various English Civil War sites (see the History page for Marsh Gibbon's own civil war connections) and to the site of historic air force bases such as RAF Bicester, built in 1924 and used by the RAF till 2004, and RAF Oakley (1941-1945). Bicester Heritage (featuring vintage and classic cars, motorcycles and aeroplanes) is based at Bicester Airfield, just a few miles away from the Plough. The Plough provides a handy refreshment stop for tours en route to or from Oxford, the Cotswolds, Warwick or Stratford on Avon.